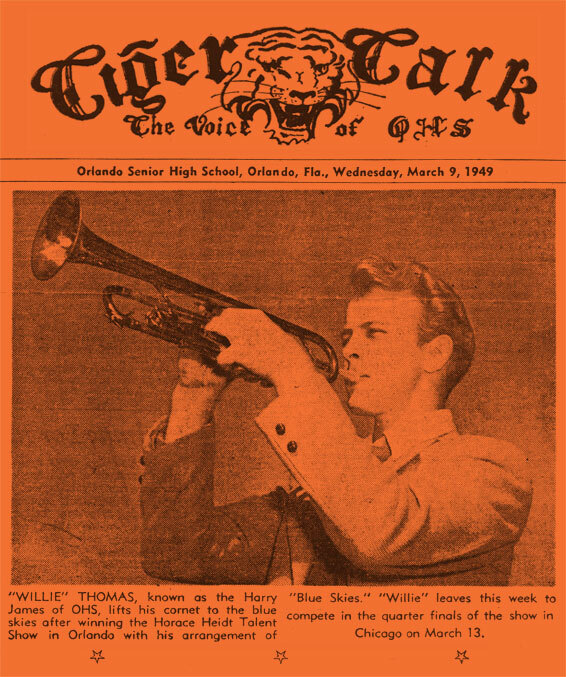 Willie Thomas’ started in Orlando, Florida playing his horn at ten years old. 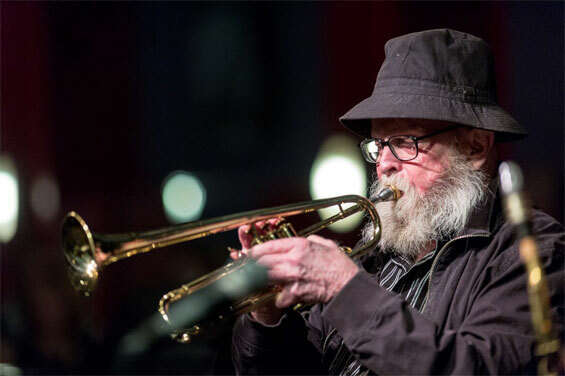 His professional career spans forty-five years of performing with such jazz greats as the Woody Herman Orchestra, the Al Belletto Sextet, the Slide Hampton Octet with Freddie Hubbard and George Coleman, the MJT+3 with Frank Strozier and Bob Cranshaw, singer Peggy Lee and many more. 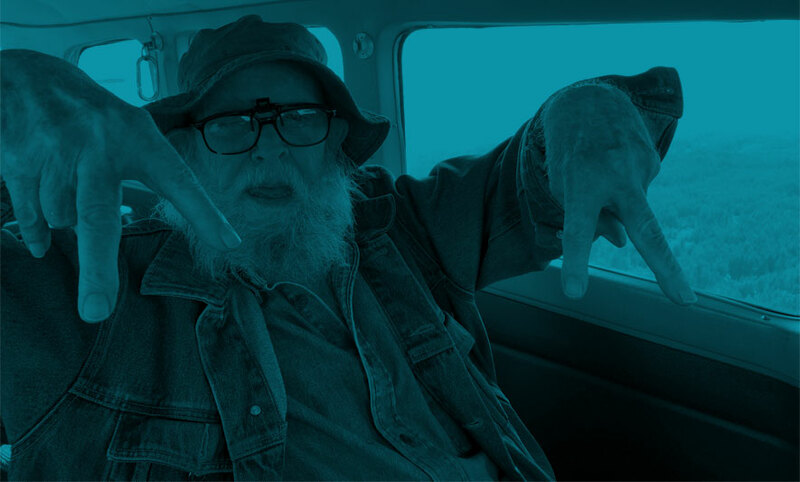 In addition to his international performances, residencies, educational clinics and jazz research, Willie was active with the International Association of Jazz Educators and was inducted into the IAJE Hall of Fame in 1994. 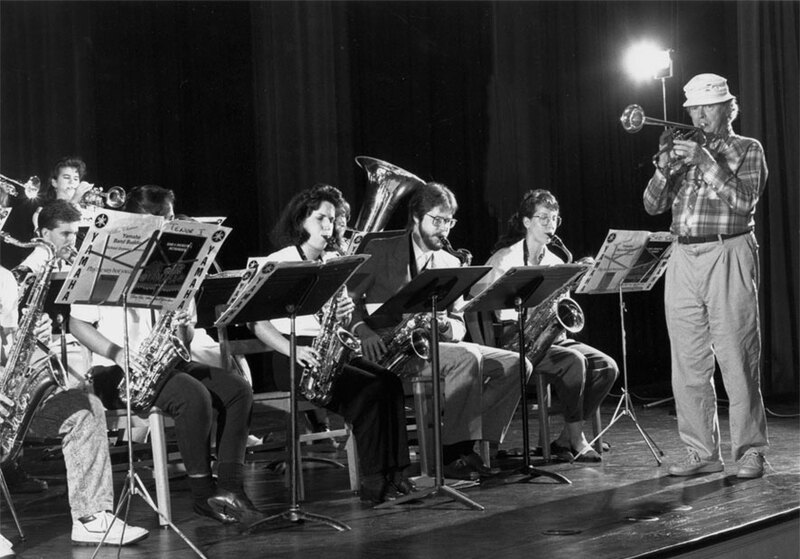 His “Jazz Anyone” classroom series, now published by Alfred Music, is still used in schools throughout the country. Willie now lives on a small island in the Pacific Northwest with his family. 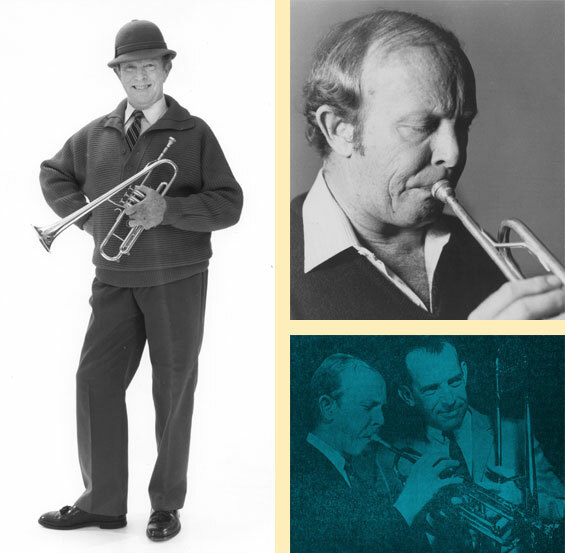 And at 86 years old, he still puts that horn to his lips everyday. He loved getting back into the action with the Jazz Everyone site. Once a teacher always a teacher! Enjoy his unique jazz language system as you play and learn with his online lesson series. To go right to the heart of the Jazz Everyone language system, start with Lesson 8 in the Intermediate Corner, where Willie introduces the Pentatonic Pairs. To Be or Not To Bop…. As some of you may know, I’ve borrowed my title line from a biography about the life of Dizzy Gillespie, who played a vital role in the nascent period of a jazz epoch called “be bop” in the mid 1940’s in NYC. There are several theories and many questions about how this term was inculcated into the jazz vernacular of American culture. Today, be bop describes one of the most virulent aspects of the jazz language. 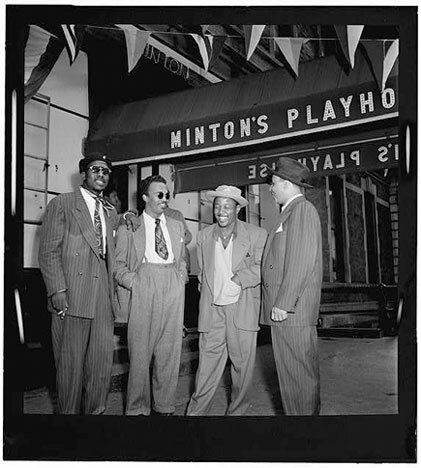 Be bop began when Charlie Parker, Dizzy, Bud Powell, Thelonious Monk, Fats Navarro, Max Roach, Tad Dameron and other jazz acolytes gathered at Minton’s Playhouse in Harlem on Friday nights to marinate in the sounds of this new music and glean the recently minted licks that flowed like a river out of their instruments on that infamous bandstand. 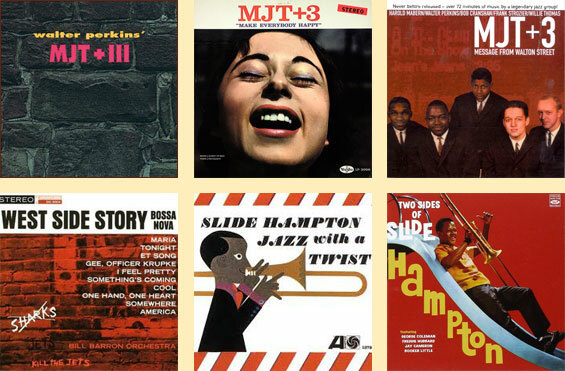 As be-bop became an ever more prevalent strand in the tapestry of jazz, it’s affect on the jazz vocabulary began taking root and by the mid 1950s. Miles Davis, John Coltrane, Wynton Kelly, Clifford Brown, Sonny Rollins, Art Blakely and many others were fluent in this new language. Be bop had become indelibly etched into the jazz patterns and licks everyone had to know to even be considered a real player. The evolution of be bop continued to be the base line for the jazz language into the 60’s in spite of occasional odysseys and abstractions by the likes of Ornette Coleman, Eri c Dolphy and others searching to be recognized, breaking the be bop boundaries and taking jazz to the next level. Even when Trane hopped on the free jazz wagon, it didn’t derail be bop. Be bop continued to march into the 70s with the jazz cadre, i,e. Freddy Hubbard, Herbie Hancock, McCoy Tyner and Wynton Marsalis leading the parade. Now, a new question took center stage, is and should be bop be the bulwark of the jazz curriculum now emerging in the Jazz Education arena? The jury is still out on that one. Wynton Marsalis’ attempts to marry the more traditional Big Easy music and mainstream it into jazz along with today’s fester of fusion, crossover, cross under, and a myriad of other styles of music masquerading under the jazz banner, has made some inroads into the jazz vocabulary tool box. However, players like Chris Potter, Roy Hargrove, Ryan Kisor, Walter Smith III, and more, keep pushing the boundaries with be bop at the roots of these new explorations. Jazz is now a world music and over the last 30 years many other strains of influence continue to briefly become stirred into the potion. Every type of ethnic music under the sun has had its turn in the ring, but, be bop continues to remain at the core. Bunky Green, an old side kick of mine has seen the rebirth of his pyrotechnique based jazz come into prominence with some support from a new kid on the block, Rudresh Manhanthappa. Their music, however, doesn’t leave you with one of those intriguing lines that Bird played dancing in your head. So, this 80 year old be bop warrior is happy with the status quo and my jazz lessons in my Jazz Everyone language system will no doubt stand the test of time with all of its intrinsic be boppery. And, when all is said and done as Frank Foster and I always said …. be bop Rules! Below you will find some of our favorite tunes from Willie’s playing career. Willie on trumpet, Al Belletto on Alto, Jimmy Guinn on T-bone, Tom Montgomery on drums, Skip Fawsett on bass, Freddie Crane on Piano. Willie Thomas on Trumpet, Bunky Green on Alto Sax, Bobby Cranshaw on Bass, Walter Perkins on Drums and Chris Anderson on Piano. The MJT+3 with Willie Thomas on Trumpet, Frank Strozier on Alto Sax, Bobby Cranshaw on Bass, Walter Perkins on Drums and Harold Maybern on Piano. The Slide Hampton Octet, solos by Slide Hampton on Trombone, George Coleman on Tenor Sax, and Willie Thomas on Trumpet. Recorded live at IAJE convention 1982. Willie Thomas on Trumpet, Bunky Green on Alto Sax, Nick Brignola on Bari Sax, Frank Pazzullo on Piano, Larry Green on Bass and Warrick Carter on Drums. Willie plays a special concert with Nick Brignola, Fred Hersch, John Lockwood and Dave Calarco.